RSVP Deadline March 15: Use RSVP Form here. Save time – Prepay your Admission by Credit Card; use button below. Save time and pay your Membership by Credit Card; click on button below. 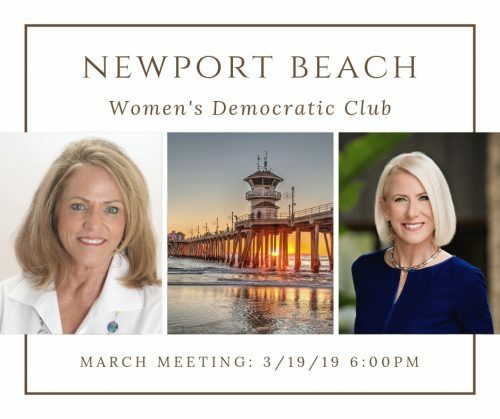 … Dave Kiff, former Newport Beach City Manager and current interim CEO of Association of California Cities (OC): Homelessness in Orange County – Issues and Opportunities. 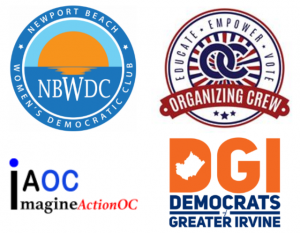 … Ada Briceño, newly elected Chair of DPOC: The future of our party in OC. RSVP Deadline April 12: Use RSVP Form here. Details and events will be announced soon! 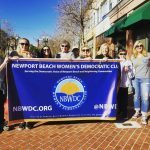 Day of Action #2: Sunday, March 3. If you have an interest in any of these areas, please fill out this quick committee sign-up form available here.